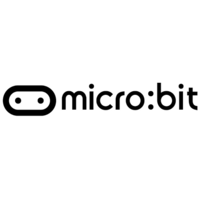 Little Bird carries a massive range of micro:bit products and accessories. You can use your BBC micro:bit for all sorts of cool creations, from robots to musical instruments – the possibilities are endless. This little device has an awful lot of features, like 25 red LED lights that can flash messages. Two programmable buttons can be used to control games or pause and skip songs on a playlist. Your BBC micro:bit can detect motion and tell you which direction you’re heading in, and it can use a low energy Bluetooth connection to interact with other devices and the Internet – clever!